New features and improved stability and performance are some of the reasons why most of us install iOS 12. However, together with these few positive changes also come some new battery health problems. Every time you see the battery of your iPhone draining fast you cannot straightaway blame an invisible bug for the same. The fact is it is not easy to boost battery life when enjoying everything that the new update offers. This also does not mean you will have to bear with a poor battery life as there are some ways to improve the same. If you are now wondering how to save battery on iOS 12 then continue reading and discover some helpful tips. 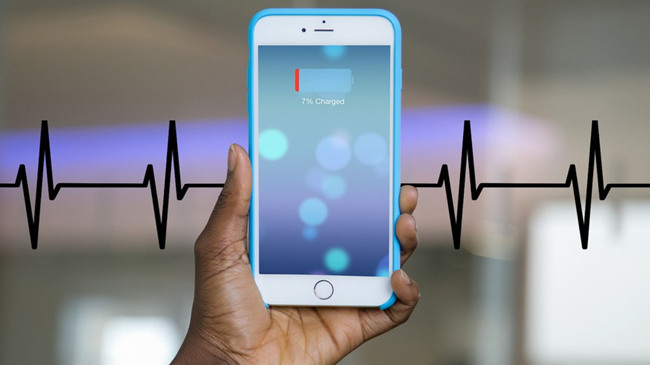 Before you learn about the tips to improve iPhone battery life on iOS 12 you first need to find out the culprits that have been consuming a large part of your phone's battery. Once you figure out the problems it will not be difficult to find out ways to tackle them. Thankfully, it is pretty easy to check the power consumption pattern on your iPhone. Just select "settings" and then click on "battery". Now, let us get to learn about the tips that help us know how to save iPhone battery life. When you have landed in the "battery" section after clicking on "settings", you will find an area entitled "Insights & Suggestions". This area provides helpful tips on how you can cut down on your battery usage keeping your needs in mind. For instance, if iOS finds that your phone is using too much brightness then it will suggest dimming the display so as to save some battery. This area offers you more personal battery-saving advice and thus will surely prove to be helpful. Most of us have a habit of not quitting an app after using it. What then happens is that it keeps running in the background and at the same time drains your battery. Thus, you need to make it a habit to quit any app right after you have finished using it. Always keep the brightness and display of your phone in check, and ideally it should be at the medium level. Once you reach the Display and Brightness section of your phone it will be best to turn the "True Tone" off. True Tone is helpful in the sense that it adapts the display of the device according to the lighting conditions of the place you are in. This is why no matter what condition you are in the colors on your phone appears consistent. However, this feature does not work consistently, and thus it will be wise to manually adjust the brightness of your phone. Also, you should take care of the auto-lock feature. You must keep the duration as less as you can. If it has been set to "never" then deselect it and set it to the shortest duration or else you are sure to waste a lot of your battery. Yet another way to maximize your battery life will be to use the low power mode. Once you enable this power saving feature it will turn off many power consuming features like mail fetch, automatic downloads, and so on. Furthermore, it minimizes visual effects thus helping you save a lot of battery. "Background App Refresh" is helpful because it keeps your apps running smoothly always. At the same time, it also consumes a whole lot of power, and thus you must use it very smartly. The latest versions let you turn off the feature completely or allow just a few apps to get refreshed in the background. Also, you can configure your phone to use WiFi only when refreshing apps. 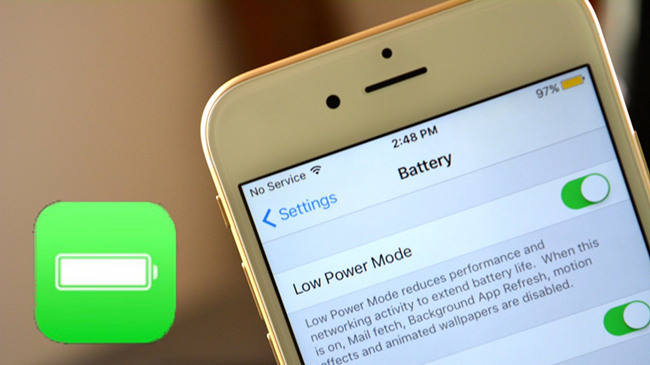 The next thing you need to do if you want to learn how to improve iOS 12 battery life is to disable the location services which can greatly impair your battery life. 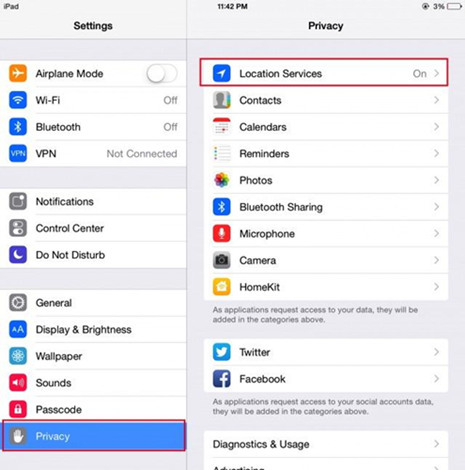 If any app does require access to your location you can enable the location services only then and do not let it keep track of your location all the time. Do try this tip and it definitely will save your iPhone battery to a good extent. Whenever you see that your iOS phone is draining your battery way too fast one of the most important things you can try doing is force rebooting it. If you are wondering how this will help then it is by flushing out bad bits that may get stuck now and then. One of the popular features of iOS 12 is its fine-tuned notification system. However, the fact is that unnecessary notifications can only annoy you and at the same time will consume your phone's battery really fast. If you notice you are getting too many notifications that you do not need then you need to "turn off all notifications". Some of the dynamic wallpapers offered by Apple are really cool but they can drain your battery very easily. Such wallpapers animate always in the background and thus it will be best not to opt for them. If you are using them now you should change the background for your phone's home screen or lock screen from the "wallpapers" section. With iOS 12, Siri suggestions have become all the more useful, and at the same time, a lot more battery draining. 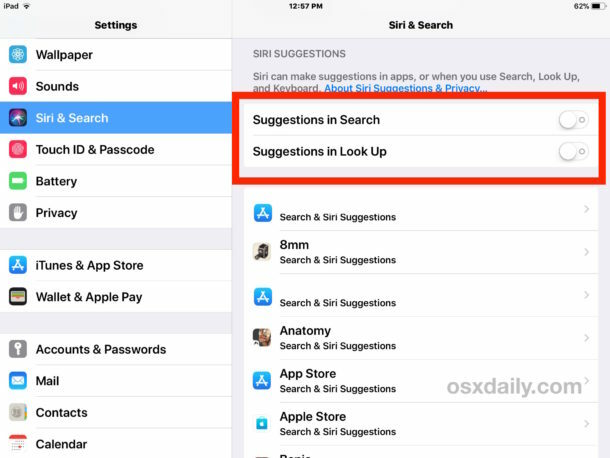 If you think the extra battery life that you can enjoy by not using Siri suggestions is worth it then it will only be wise to disable Siri in Search, the Lock Screen, Look Up, and also for individual apps. These tips on how to increase battery life of iPhone are certainly very helpful. But together with this, we want to give you an extra tip, which though not related to the battery itself, will still prove to be very helpful for anyone who uses an iPhone. When you update your iOS device to the latest iOS 12, the upgrade may fail and consequently your data is lost. Losing data can be a big problem for iPhone users, particularly if you forgot to make a backup. Though it is always advisable to backup all important data onto a cloud or elsewhere so that you do not lose it, if you do, then only a data recovering tool can help you. Though there are many such tools available in the market, the best one that you can use is Joyoshare iPhone Data Recovery. It is a handy software that works amazingly well when you want to recover lost data on your iPhone. It is convenient to use, has different recovery methods, can recover different files, and recovers data deleted by various causes. So, now that you know how to save battery life on iPhone (and have a bonus tip), make sure you follow these tips right from now, and you will not have to worry about your phone shutting off right when you need it the most and rather will be happy that your precious iPhone is not as hungry as it used to be until now.